It's been such a long time since I last made any reviews! Though I really like doing reviews, I think it's something practical and my readers can benefit from the article, so it might be a win-win situation for all of us ;D Remember when I went to the Nelly shoe event? Lots of shoes and shoes and... goodiebags. Oh, how I love goodiebags! It's like a lucky bag only that you don't even need to pay for it. 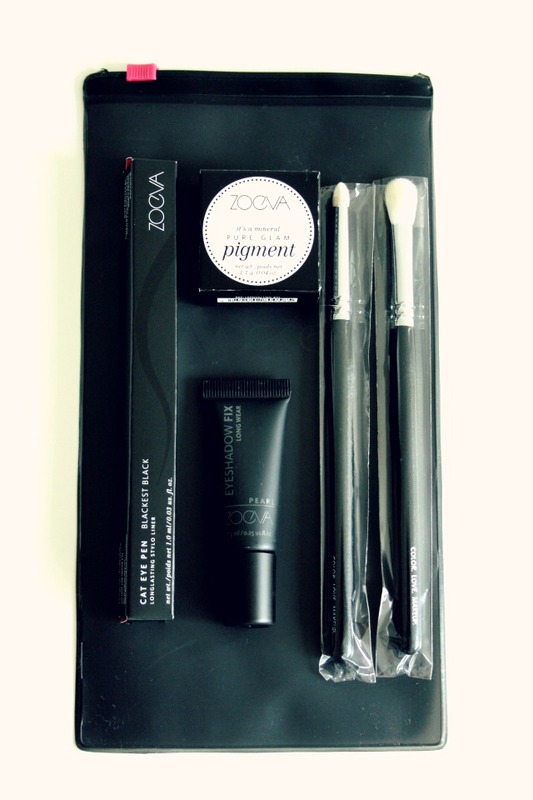 Have to say I wasn't entirely overwhelmed but for the little treats from Zoeva that where inside the bag. I never heard of the brand Zoeva before but since I'm such a beauty girl I was really excited to try out something entirely new. I didn't browse or look up anything on the intenet so that I don't get spoiled by other opinions beforehand. What is the Zoeva Cat Eye Pen? 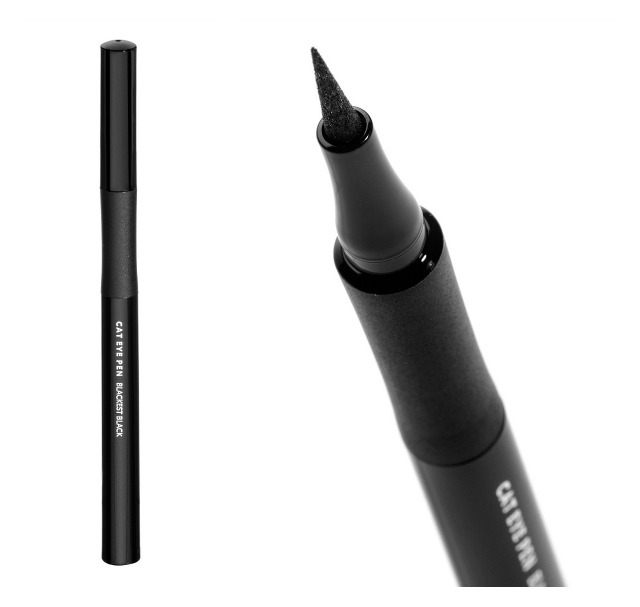 The Cat Eye Pen is an eyeliner which is designed as a very thin stylo liner. It claims to be waterproof and ultra deep black, so it had me with its description already. But did it live up to that? I have to say, definitely YES. 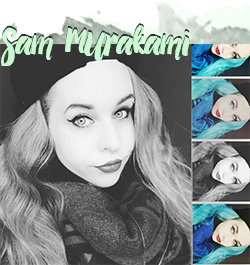 Although I have already found my most favorite eyeliner that I have used for many many years I have to say I LOVE this eyeliner. I first thought the very thin tip would be extremely flimsy, but surprisingly, it's not at all. Quite the opposite the tip is firm enough to make ultra-thin lines around your eye! 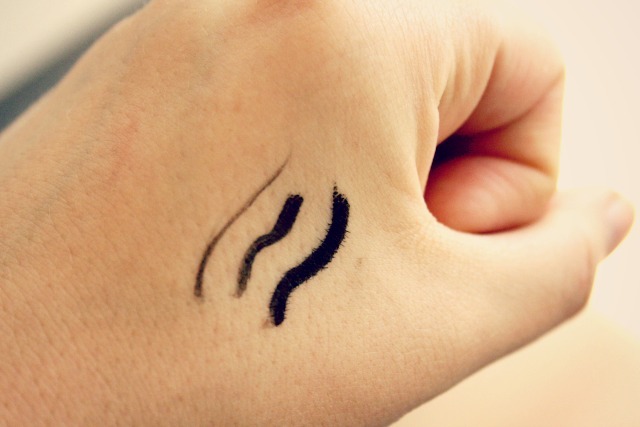 All ranges of lines can be done with this eyeliner :) Is it really waterproof? Mhh, I kinda doubt that. But it doesn't really wear off during the day (and I wear eyeliner everyday) so I don't really care since I never dive into a pool with make-up on :D The only downside for me would be that this eyeliner takes a bit of time until it is fully dried. I always have to wait at least 5 minutes until I can apply the mascara or otherwise the liner wears off due to the eyelash curler I use. Other than that, I really have nothing to complain about! It is very easy to use, has a very good grip due to its design and it is really blacker than black. Love this. I am even considering of repurchasing this!! (As for the fact that I have used the same eyeliner for, um, 10 years this IS a huge compliment). Hope this post was somewhat helpful to anyone, wish you all a happy week!